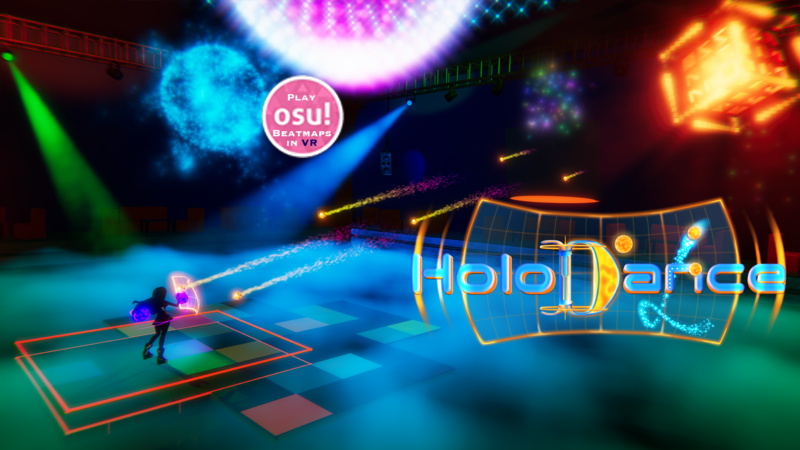 Holodance was the first VR rhythm game shown to the public, mid 2015. Since then, it has evolved from "Dancing with Dragons" with only a few songs specifically produced for the game in its environmentalism themed Story Mode, to also letting you play more than 11,500 songs with almost 60,000 hand-crafted high-quality osu! beatmaps in its Free Mode, in almost 20 diverse environments, ranging from a tropical beach or underwater environment with dolphins and whales, to trippy abstract tunnels or asteroid fields.